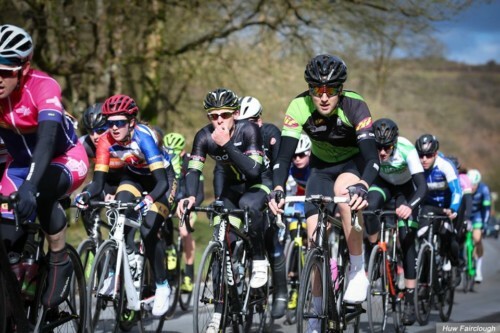 It has been another busy couple of weeks with club members taking part in a number of events and disciplines, some great results and a number of riders showing excellent early season form. 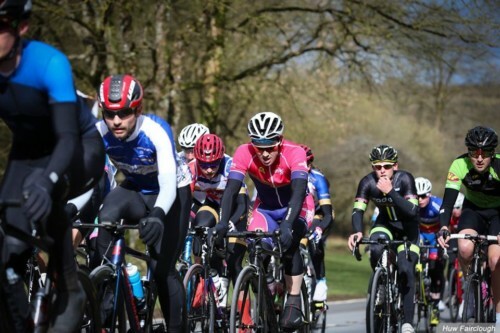 On the 17th March both myself and James Nicholls travelled down to Cowbridge in South Wales to take part in The Betty Pharoah Memorial road race in the 3/4 category event on what proved to be a challenging course due to the combination of rolling terrain and extremely windy conditions. In the end seventy four riders took to the start line – I ended up in 47th place whilst James finished in 41st. James was extremely unlucky not to finish much higher, in what was his first road race, having been in the leading group of riders throughout and looking extremely strong. However, he ended up getting caught in a crash on the final lap following a rapid descent which proved to be pretty sketchy throughout the race due to a nervous bunch and some very strong cross winds. On the same day and just a short distance down the road Craig Hopkins continues his strong start to the season and recorded a personal best 10 mile TT time of 24:24 whilst competing in the Sportzmad event near Raglan on the R10/17 course to finish in 36th place overall. It was particularly impressive to pick up a PB in what was an out and back course given the wind conditions on the day and bodes well for races to come. 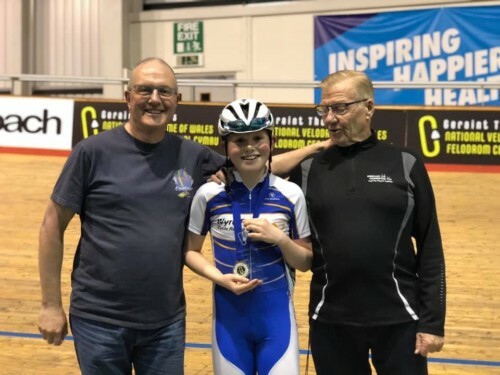 On Tuesday 19th Max Hinds raced in the final round of the Tuesday night mini track league at Newport Velodrome where he put it another strong series of rides throughout the evening and he was also crowned the overall league winner for his age category for the series. 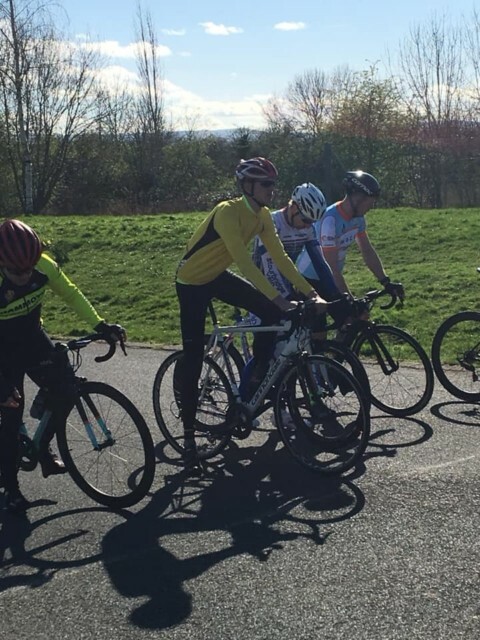 A number of riders then took part in the Severn Valley Circuit Series event at Sundorne in Shrewsbury on the 24 March and there were superb results across all categories. 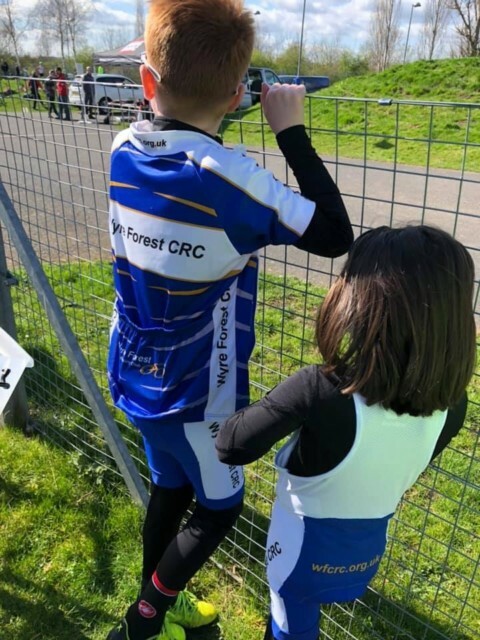 In the U8 girls category Ruby Bentley had a brilliant ride picking up 1st place and a special mention must also go to Mollie Cook who finished in 8th place, despite not yet turning five years old. In the boys event Jayden Cook finished in 11th place. 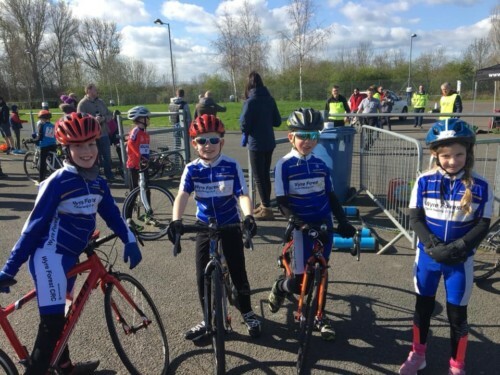 Three club riders took part in the U10 boys events, with Archie Bentley finishing highest overall in 7th place closely followed by James Saunders in 9th place and George Gregory in 14th. 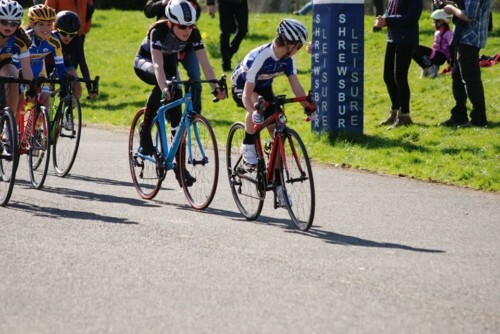 The U12 boys events saw two riders finish in the top 10 with Joe Greening showing more good early season form to pick up 6th place, whilst Max Hinds continued his blistering start to the year to sprint clear of the field and take another dominant race victory. 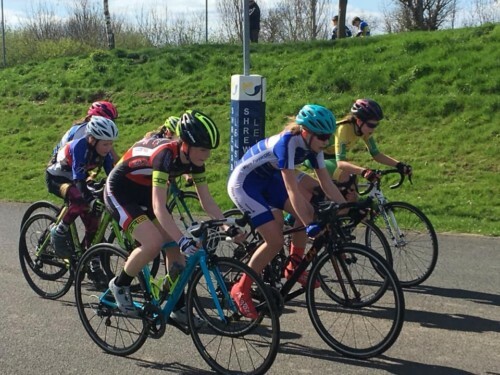 In the U14 girls race Posie Forrester showed great determination to race after a nasty crash the day before at Newport to finish in 5th place and was immediately followed by Kim Greening in 6th place. 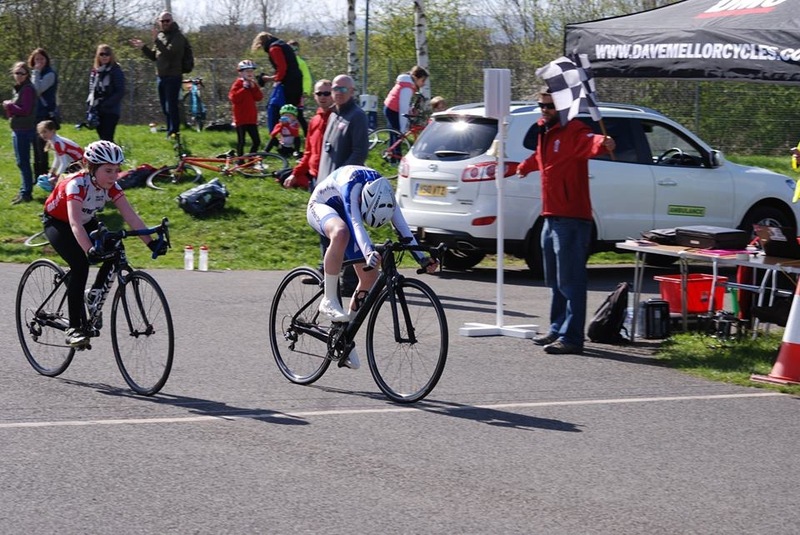 The final event for club members saw Charlie Genner racing in the men’s 3/4 race. Despite it being his first year competing in senior races having just moved up into the junior category Charlie was able to secure a superb podium finishing in third place and edging close to his 3rd category licence. 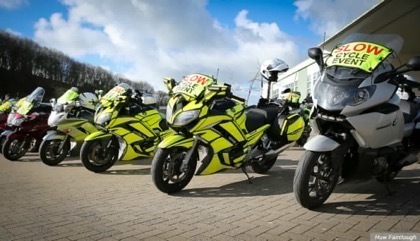 Midweek TT series 2019 – help needed! Have you got a news article you wish to share with our club? Then please email our website team who will be more then happy to help.